8th October 2018 / by Lucia Y.
Zangi Safe Messenger, with its recent security updates, is forwarding its position in the market as the most secure messenger and is already outperforming most other messaging apps. 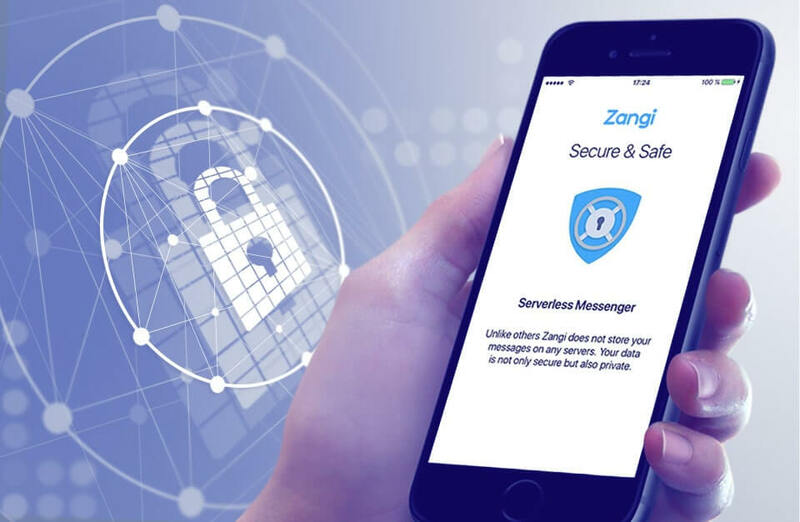 Created for the investigative journalist, activist, lawyer, doctor and any other 21st-century privacy-conscious individual, Zangi Messenger is the most secure messenger in the market right now. All messages are encrypted by default and user communication history is not stored on any servers, not even on Zangi’s servers. This means no one, not third parties, not the police nor hackers and not even Zangi can have access to user’s info. The messenger app is also decentralized, which means data is not stored on the cloud. And with this serverless, decentralized system, Zangi users’ personal data or communication history is completely safe. Hence our name: Zangi Safe Messenger. If a user deletes a message, nobody, not even Zangi can restore the message. And whatever message you write or file you send with Zangi will never appear on the Internet, nothing is traced back to you. In times of urgency, the government has always required access from messengers and SMS services for needed information, even when messengers claimed they do not have an entry. And as experience has shown, almost all messengers were able to open a backdoor in times of emergency or there was some way into the system. But with Zangi Safe Messenger, uncovering a backdoor is impossible. Zangi safest messaging app uses an encryption proprietary handshaking mechanism (by default) and dynamic channel encryption (by default). With such encryption, all chat: one-on-one chats, group chats, audio, and video calls cannot possibly reach or be accessed by third parties or even by Zangi. They can only be decrypted by the recipient’s device. If some of the most popular messengers like Telegram offer “Secret Chats” through which end-to-end encryption is activated– this just means that Telegram isn’t encrypted by default. By default you are messaging insecurely without even realizing it — a feature the government, FBI, and police are in love with. Zangi is the first safest messaging app to work on a decentralized model, which means there are no central servers that can be attacked, shut down, or forced to turn over data. With decentralization, it is impossible for third parties to access users’ personal data, thus nothing is stored on the cloud. And furthermore, the system reduces the risk of system failure which comes from dependency on centralization. Decentralized systems are opting to be the future of all advanced communication platforms because they are more robust, private and reliable than centralized systems. Zangi does not store communication history on any servers; the entire information is only kept on the user’s device. With peer-to-peer technology sending private information has become truly private. If other messengers have the ability to send you your password if you forget it, then they can also read everything of yours on their servers. If everything you do is stored in a cloud, then that might be a convenient feature, but definitely not a safe one. Zangi consumes 6 times less mobile data than other popular messaging apps, beating Whatsapp, Viber, and Telegram. With our cutting-edge technology we have made audio and video calls and sending big files possible without worrying about finances or restrictions. Where Viber can deliver 3 minutes, and WhatsApp 4.5 minutes with 1 MB of bandwidth – Zangi can deliver 7 minutes of calling time with 1 MB of bandwidth. Zangi helps people living in countries where mobile messaging apps are blocked such as the UAE, to communicate beyond their borders. Zangi Safe Messenger is available everywhere, and users can make calls from any part of the world, the messenger is not banned anywhere! Zangi’s streaming control protocol (SCP) ensures the best possible voice calls even in poor or noisy network environments. This is great for frequent travelers and those living in countries with the unstable Internet and Wifi connection. Zangi is proud to say that video and voice calls have HD resolution with photo-realistic colors and crystal clear voice. The audio is always clean and uninterrupted and lost voice and video data can be recovered, so no communication is lost in between. Zangi Safe Messenger’ motto is to create high-quality private communications for everyone around the world, without compromise to security and experience. That’s why we are the only safest messaging app that provides secure, high-quality voice, video and messaging – even in conditions where there is poor mobile network. And that’s why we are constantly adding new features and enhancing our existing services for the best user experience possible and to make team communication, peer-to-peer communication, and business communication practical and easy. Zangi messenger download is always free. Make sure to also follow us on our social media channels for more security news: Facebook, Twitter, Linkedin.